Chalice and host in dark red foil and a white Chi Rho on a tan background with red lettering. A gold Chi-Rho surrounded by wheat and grapes decorates this message for your priest friend. 5" x 7", gold-stamped. White envelope included with each card. Image of a foil dove with background lettering of the words "Peace" and "Joy". Illustration of a brilliant yellow sun against a background pattern of leaves on a blue-green ground. The lettering is in teal colored foil. Stained glass image of Christ the Good Shepherd, holding a sheep in one arm and a shepherd&apos;s crook in the other. He wears priestly vestments and is surrounded by 12 sheep and vine branches with palm fronds under his feet. The image is on a blue background. 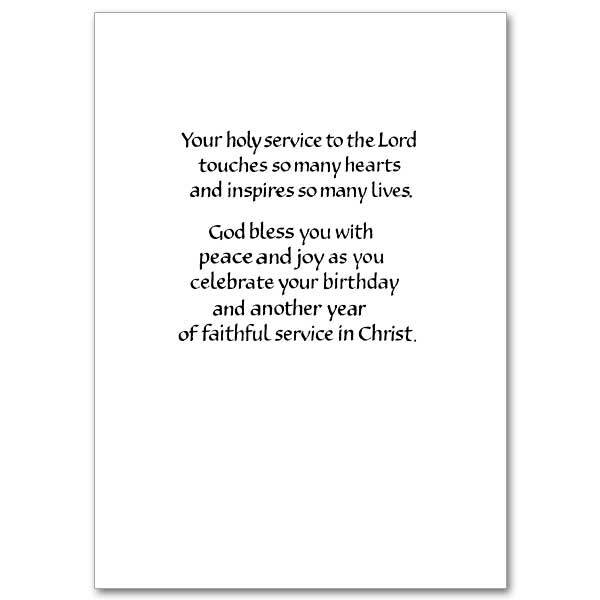 Recognize and show a sign of appreciation for your pastor or priest friend on his birthday. 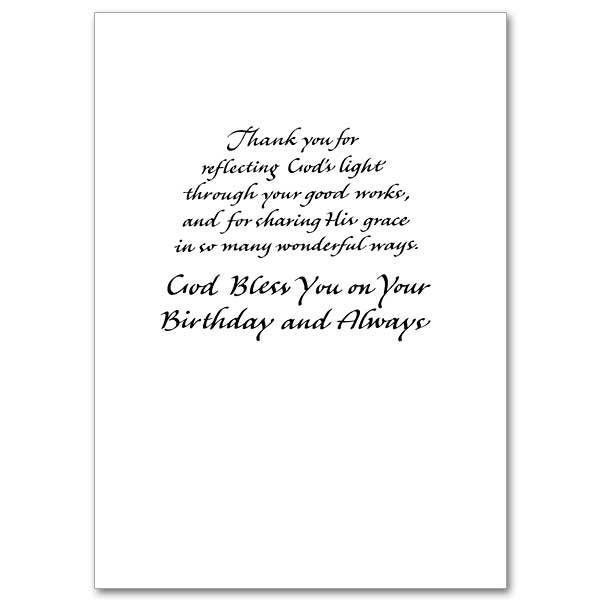 Special 5 x 7 gold-stamped card with goldenrod envelope.